Western Heights is the area of high ground to the west of Dover, overlooking the town and Dover Castle and the first earthwork defences were started in 1779. 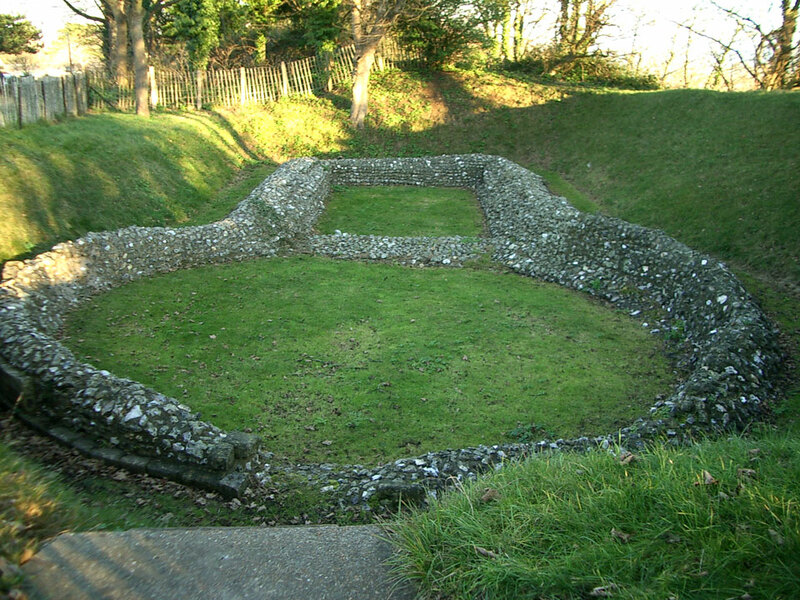 The most important structures were The Citadel, North Centre Bastion and Drop Redoubt, connected by a series of deep dry ditches, four miles in all, which were built in the period 1800 to 1810 as part of the defences against French invasion of the south coast. During the 1860's the defences were strengthened and admittance was restricted to two gateways, Archcliffe Gate and North Entrance. Other gun batteries were added around the perimeter of the high ground later in the 19th century - St Martins, Citadel, South Front and North Lines Right Batteries. Grand Shaft and South Front barracks provided additional accomodation to hold a total of around 4000 soldiers. On the seafront below is Archcliffe Fort. The Citadel 1804 -15 It has been used as a Young Offenders Institution since 1957. Private. Drop Redoubt 1804 - 08 It has been partly restored. The exterior is open to the public. North Lines Right Battery Some overgrown gun mounts remain. Grand Shaft Barracks 1806 Only foundations remain. Grand Shaft Staircase 1806 - 09 A 140 foot triple spiral staircase. It is open in the summer. North Centre Bastion 1804 - 10 Very overgrown but still impressive. Citadel Battery 1898 In fair condition. Emplacements for three guns. North Entrance 1860's In poor condition and overgrown. St Martins Battery 1877 Open. Three emplacements for guns. Western Outworks 1858 - 60 In poor condition, overgrown. Private. Archcliffe Gate 1864 The southern entrance, demolished in 1963.
site where you can read about and join the Society. Inside the defences next to the road leading to the Citadel, are the flint and mortar core of the foundations and a small area of stone facing from a small 12th century church that were discovered during the building work in the 19th century. It had a circular nave 33 feet in diameter and a rectangular chancel. Its unusual shape which is similar that of the church of the Holy Sepulchre in Jerusalem, has led to suggestions that it was constructed by the Knights Templars.